The reasons why people have typically preferred their heavy metal set-up are being steadily eroded by the recent innovations in durable, lightweight technologies. Aside from those who enjoy lugging extra grams around for their own sadistic kicks , we’re sure you’ll consider swapping out your gear for our ultralight recommendations. Lighten up your load and make boot packs a bit more enjoyable. For a touring boot like you’ve never experienced, try the Atomic Backland Carbon, available for men and women. With a range of motion of 74 degrees and weighing barely over a kilo each, you will barely feel the boot on your uptrack, a total dream for anyone who’s toured in ill fitting boots. The cross lacing system keeps your foot stable, and the rockered, gripped sole is perfect for when the skis get tossed over shoulder. They’re incredibly lightweight, but reliably (and surprisingly!) stable for attacking descents thanks to a powerful carbon spine. The iconic DPS Wailer has a touring version, the DPS Wailer 99 Tour1, and we can’t get enough of it. They have an ultralight, torsionally responsive carbon laminate construction that achieves the epitome of versatility. These skis will save you energy with the lightweight composition, but also offer a rare nimbleness in a touring-specific 99mm underfoot package. For all our backcountry ladies, check out the DPS Nina 99 Tour1 if you’re looking for women specific. The DPS Wailer Tour1 in action. Wanting a lightweight yet extremely stable and durable ski pole? We love the G3 VIA Carbon Ski Poles for our backcountry adventures. They have reliable connections between pole sections, a lightweight construction, and lower grips for side-hill sections. The comfortable backcountry straps detach easily for travel through avalanche terrain, no unnecessary fussing with gear. Looking for a binding that’s just as incredible for long skins as it is ripping down the mountain? Didn’t think that existed? It does. The G3 ZED binding is the best of both worlds. Super light at only 345 grams, so optimal for big days in the backcountry, yet it packs in the performance and power of a much heavier modern touring binding. The simple and efficient design is intended to keep you doing more of what you love for longer. Hello, lightweight and powerful bindings! The Black Diamond GlideLite are engineered for long approaches and extended ski tours with packability and traction top of mind. They have a Snap Fit Tip, a tip attachment that doesn’t require tools for set-up and clamps securely by hand. This simple and efficient design will save you time and hassle in the backcountry. Keeping weight in mind, the highly supple, packable design weighs in at only 60 grams. 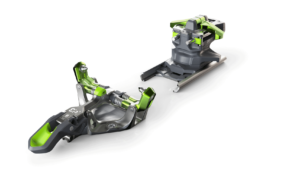 For the ultimate, lightweight crampons we’re obsessed with the Petzl Leopard LLF. Made entirely of aluminum, these won’t add excessive weight in your pack when you’re not using them. The CORD-TEC flexible linking system optimizes the volume of crampons when packed in their bag, which means more room for snacks. The ultimate lightweight duo to keep you secure on the ascent. Ultralight at only 35 grams and a compact design, the Petzl Bindi is a great headlamp to keep in your pack. With 200 lumens and a thin, versatile band, it’s everything you need, nothing you don’t. Is your tour taking you into crevasse terrain or to a chute that requires rappelling in? Check out the Petzl RAD kit if you need a complete kit that’s specifically designed for skiers doing crevasse rescue, roping up on a glacier, or rappelling. This complete system is ultralight and compact, including 30m of line, 3 carabiners, 1 ascender, 1 pulley ascender, one 120 cm sling, and a storage bag. Need one glove to do it all? The Hestra Ergo Grip is the perfect spring glove for both ascents and descents. The Ergo Grip construction creates pre-curved fingers, minimal excess material, and seams positioned for optimal grip. The upper part of the glove is made of windproof and breathable Gore Windstopper, keeping your hands protected, yet dry on the ascent. Whether you’re looking to do our Darkside Skimo Race, tackling the Spearhead Traverse, or just looking to get rid of your heavy metal, we hope this gives you guidance on where to start with ultralight gear. We’d love to help you in person at one of our two shops in Whistler or our Squamish location. Watch ultralight gear in action!